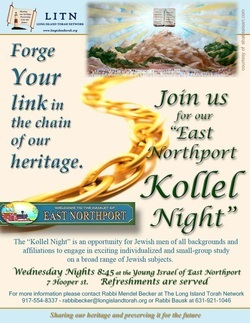 The Torah is a gift that belongs to every Jew. 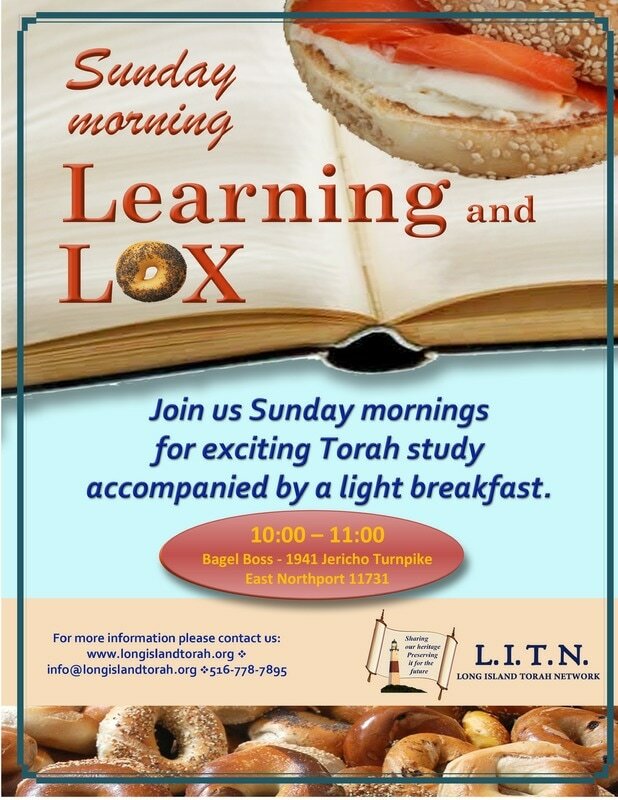 Join us at the Long Island Torah Network and experience excitement and fulfillment in discovering your share of the Torah - our nation's treasure. Please click here for information about the observances, meaning and messages of the holiday. *A pre-existing flame should be used for candle lighting on these evenings. Thanks to all the kids and parents who joined us for our Hamentashen Bake! 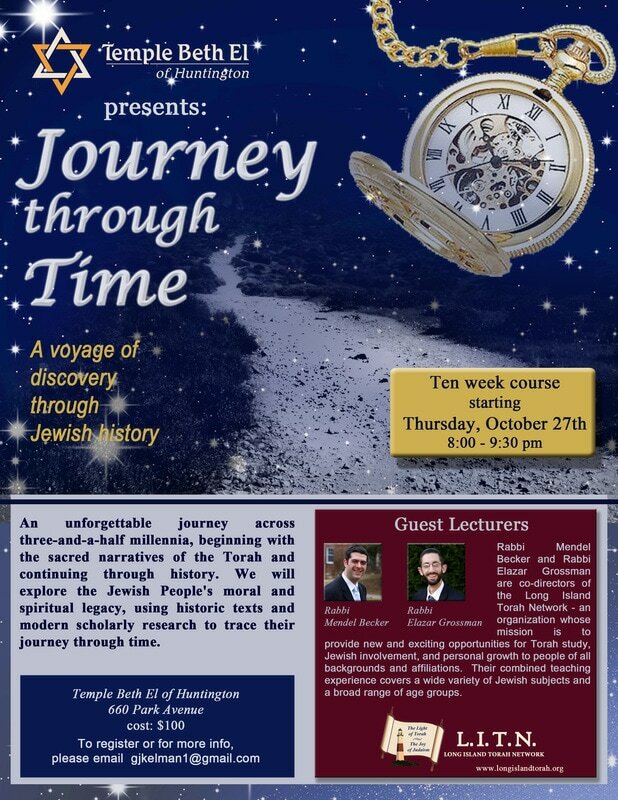 Experience interactive, stimulating, Beit Medrash- style learning! 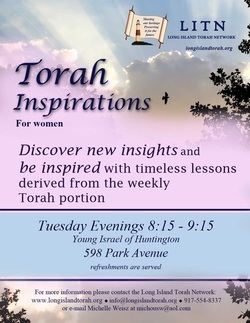 The Torah's timeless insight and wisdom for modern life! 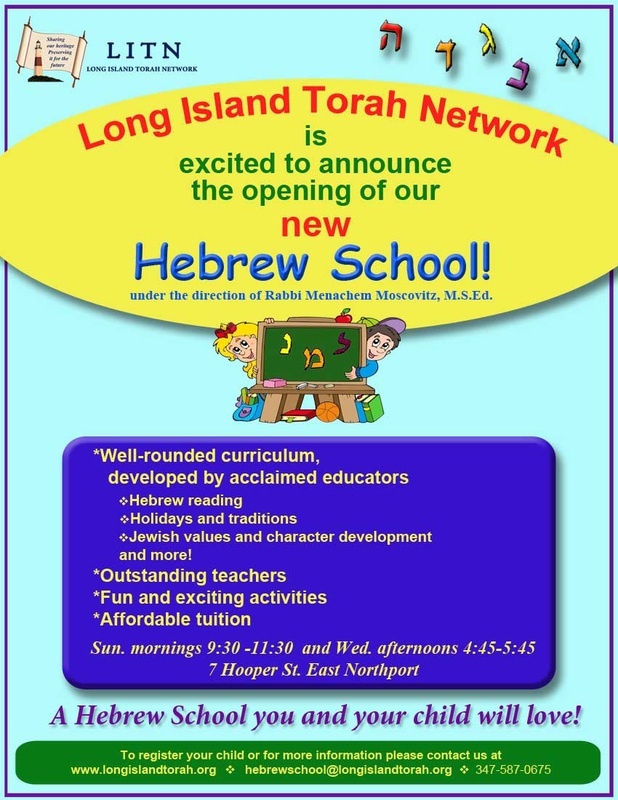 A Hebrew school you and your child will love! Got questions? The Torah's got answers! Watch our video to learn more about L.I.T.N.! Want to bring L.I.T.N. to your area? We are looking to expand! Please contact us to arrange a learning program designed for you!